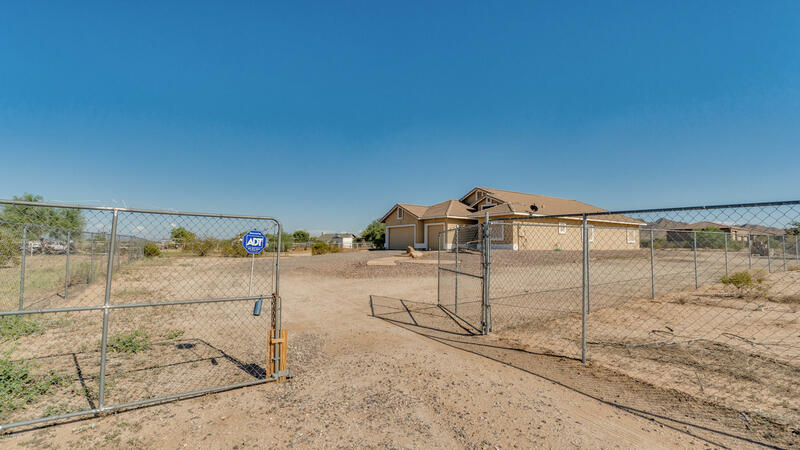 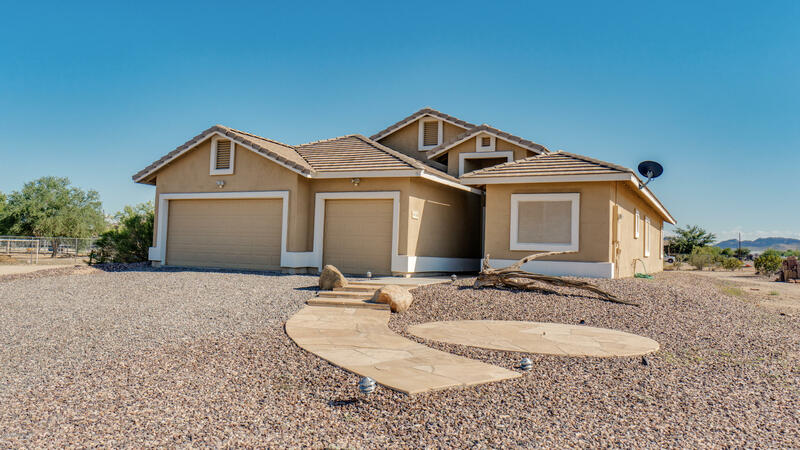 This custom home sits on just over an acre. 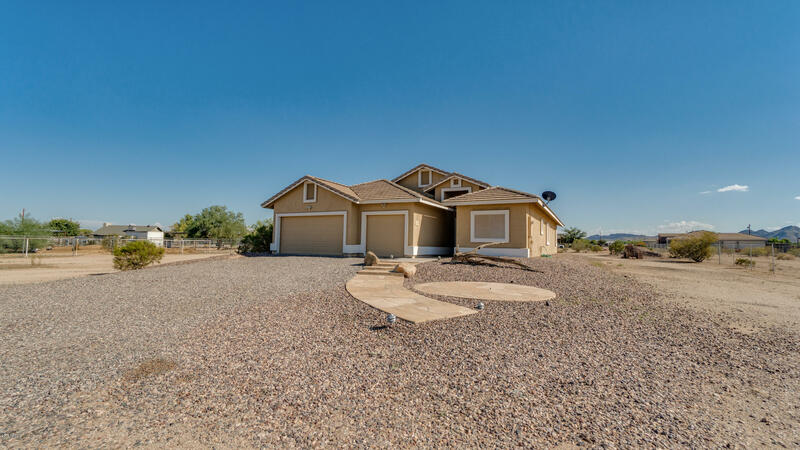 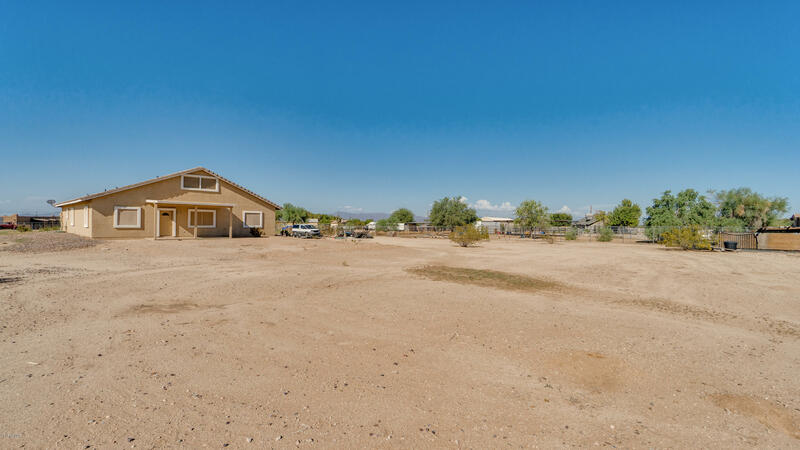 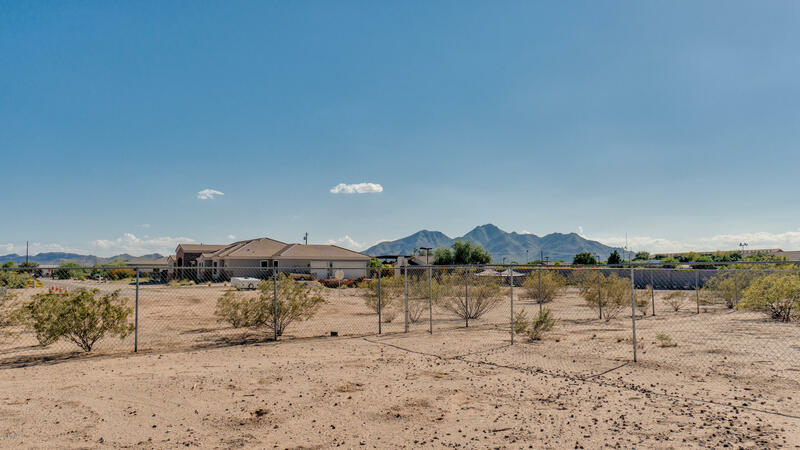 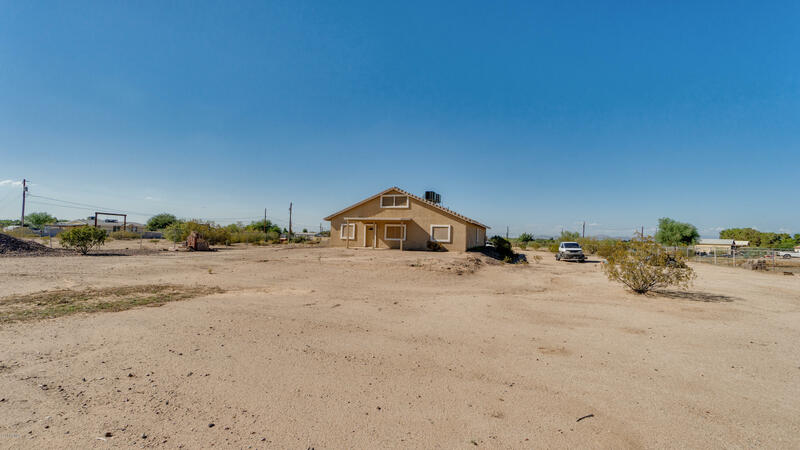 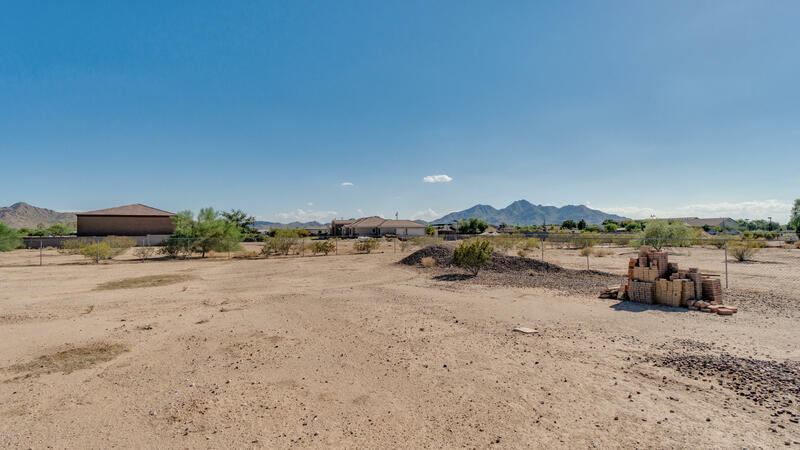 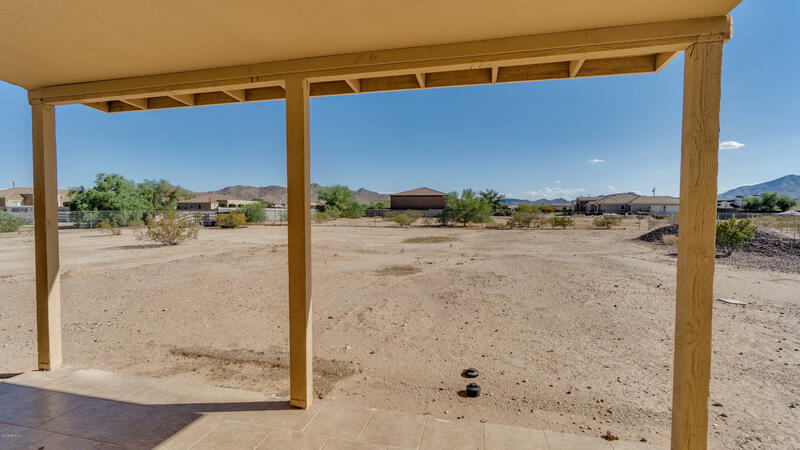 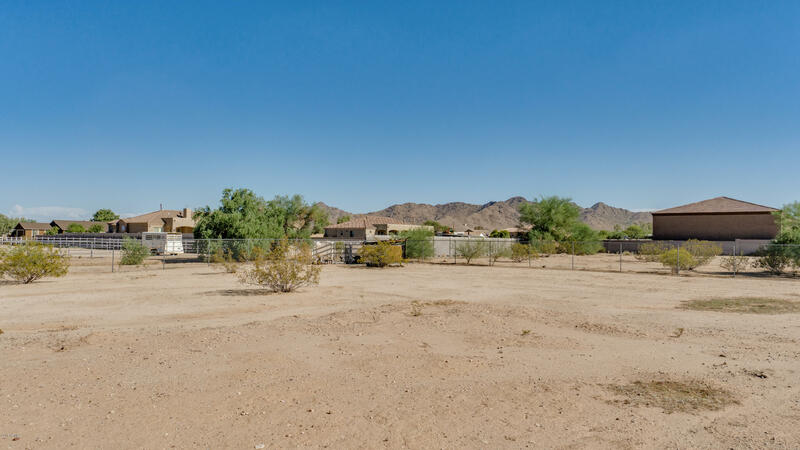 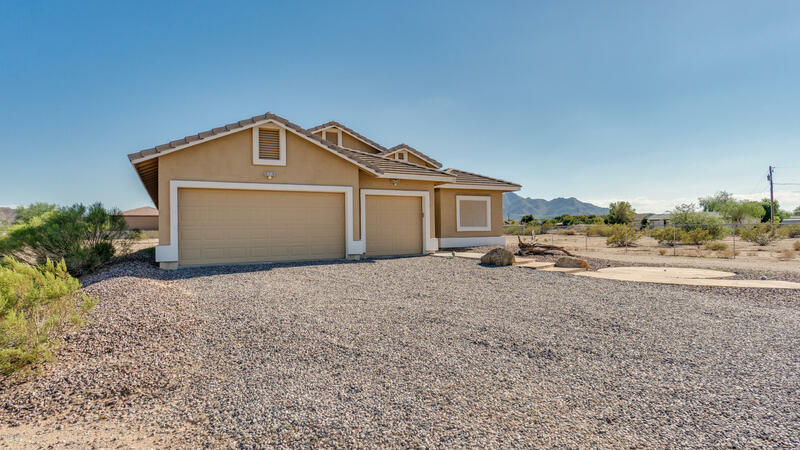 You will appreciate the mountain views from the back of the home. 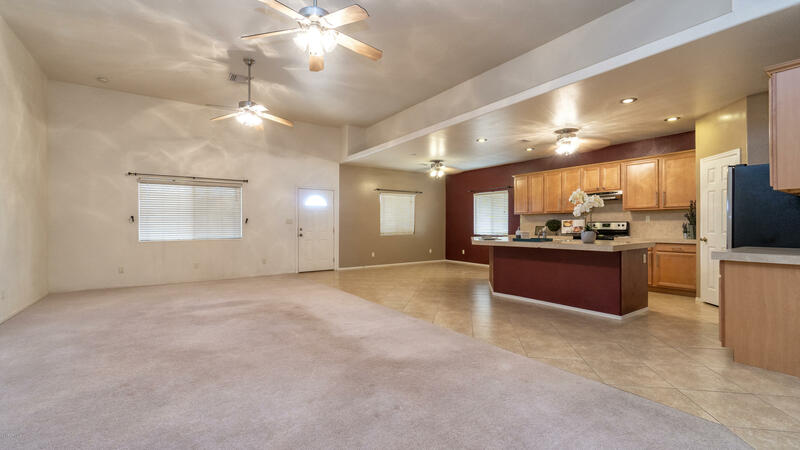 This home has a great split floor plan nicely laid out with lots of windows. 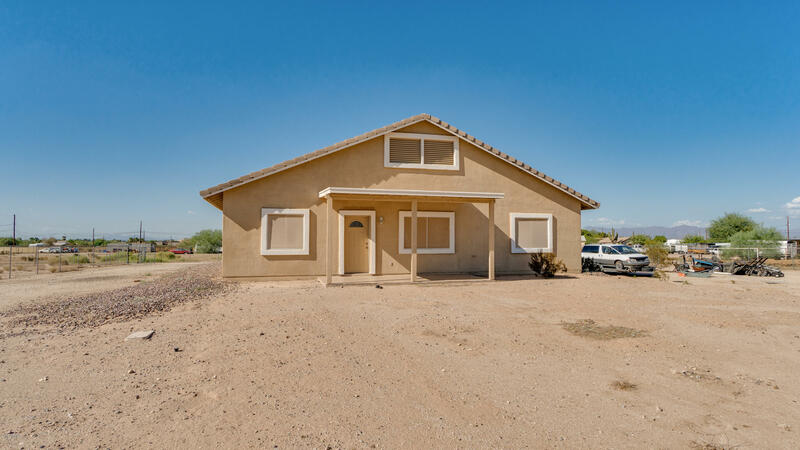 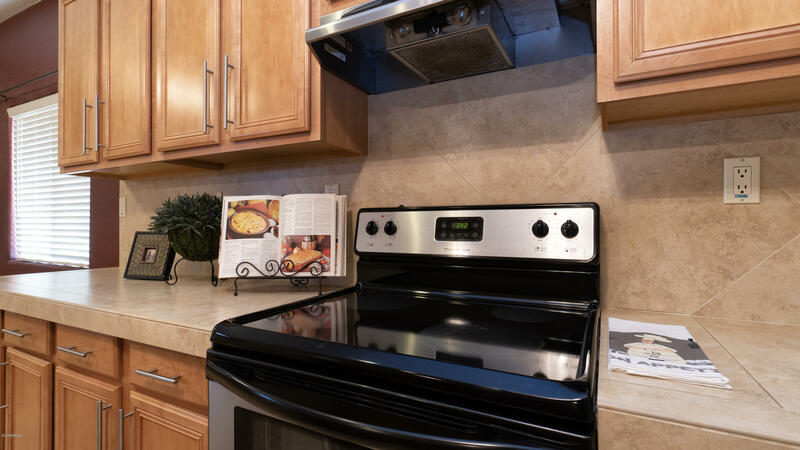 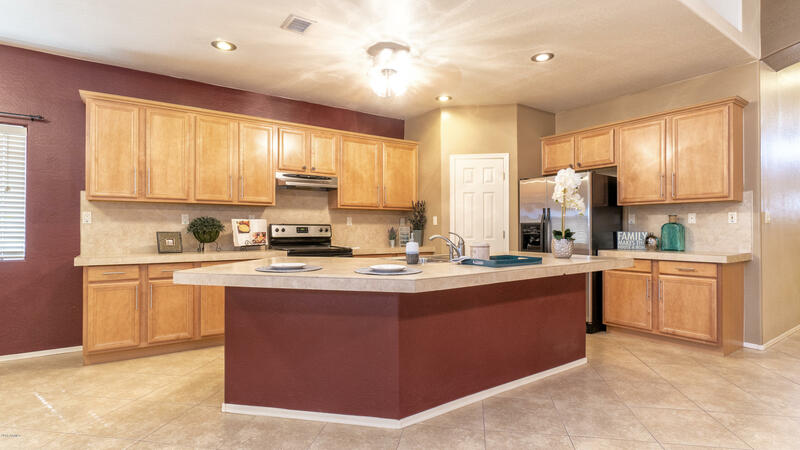 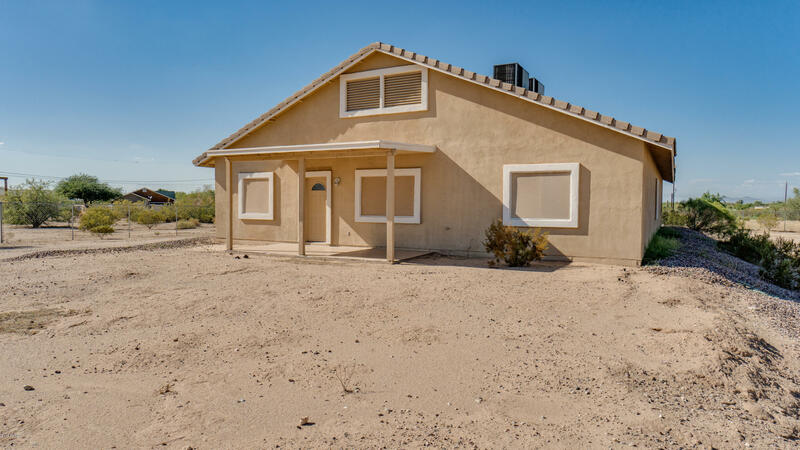 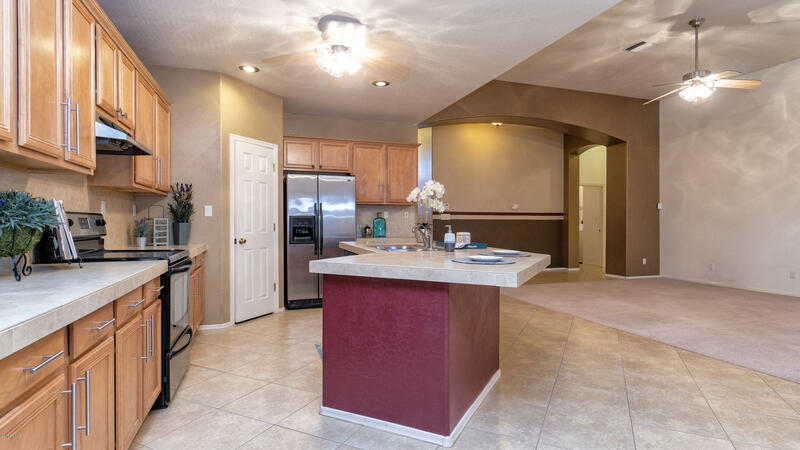 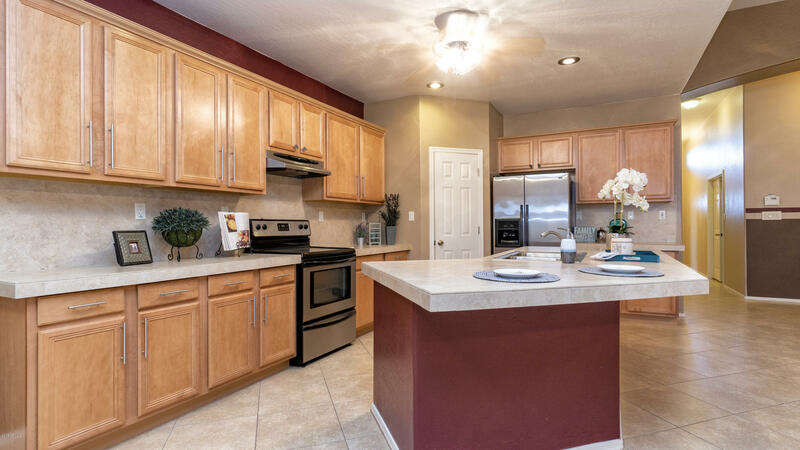 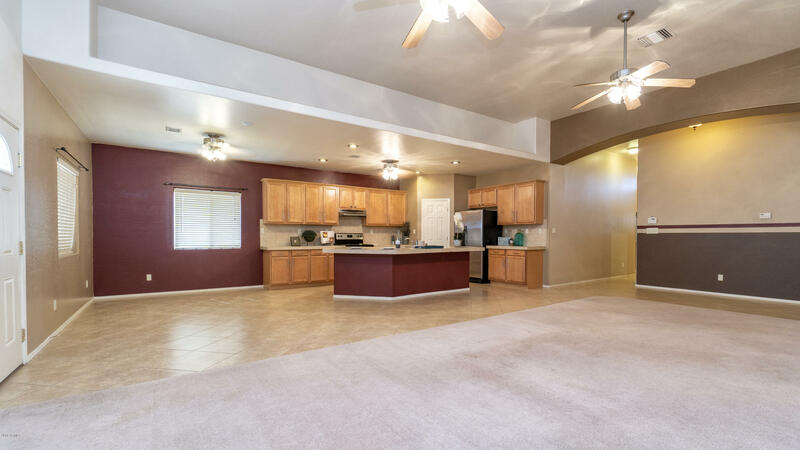 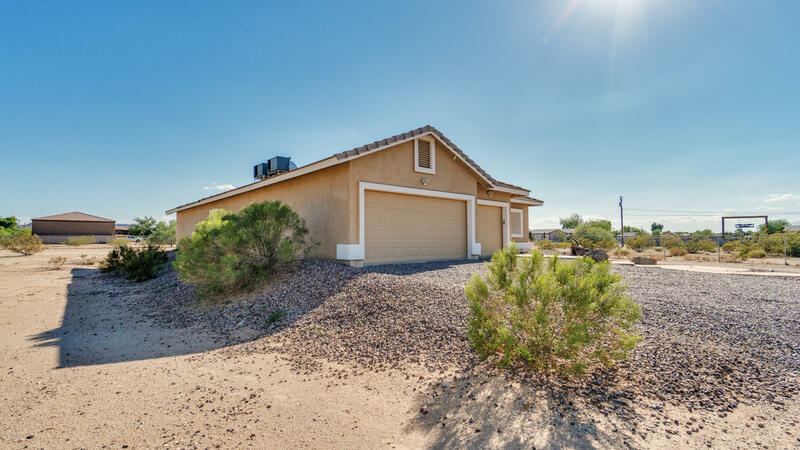 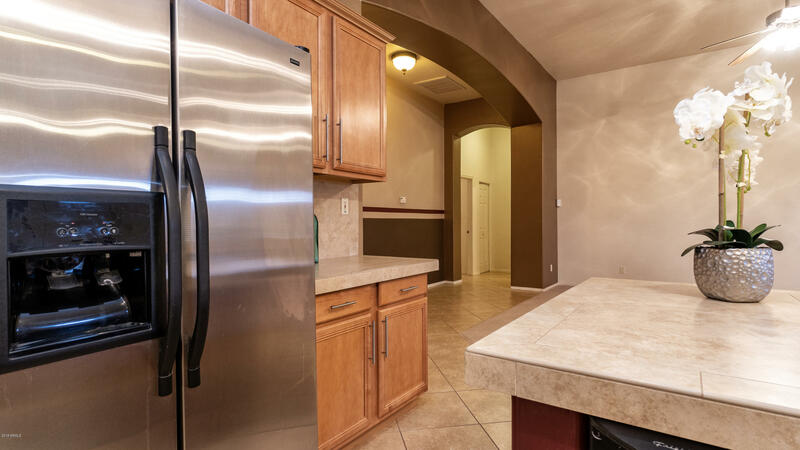 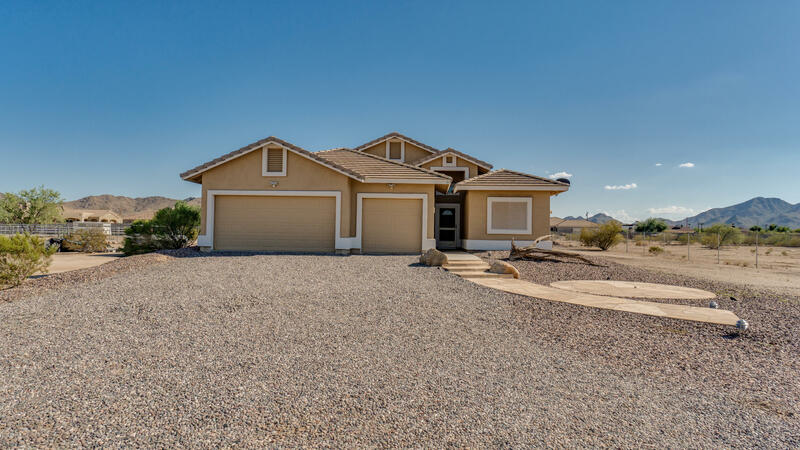 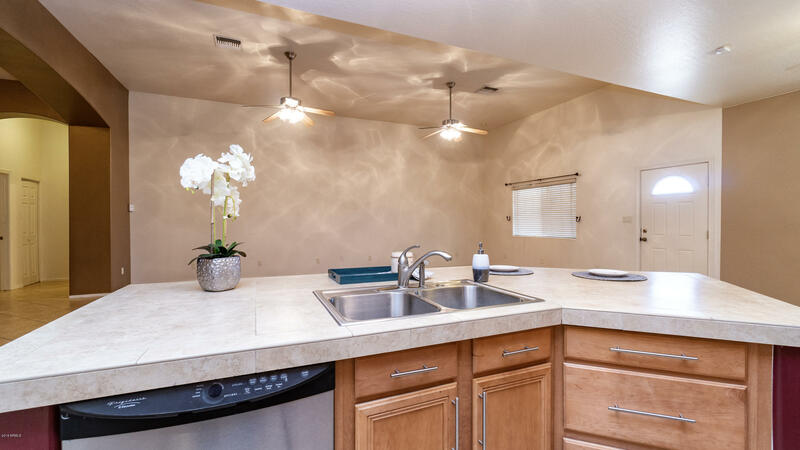 The large kitchen has plenty of upgraded maple cabinets with stainless hardware, walk-in pantry, stainless appliances, kitchen island for additional seating and is awesome for meal prep or entertaining. 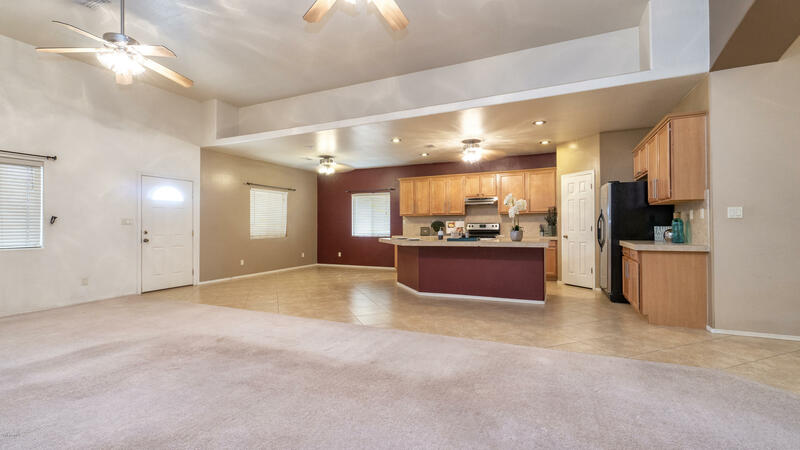 The kitchen looks into the oversized family room which is great for family gatherings. 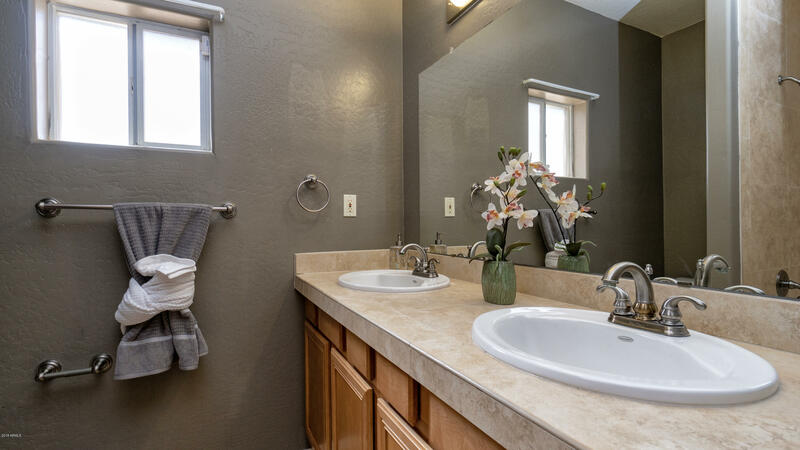 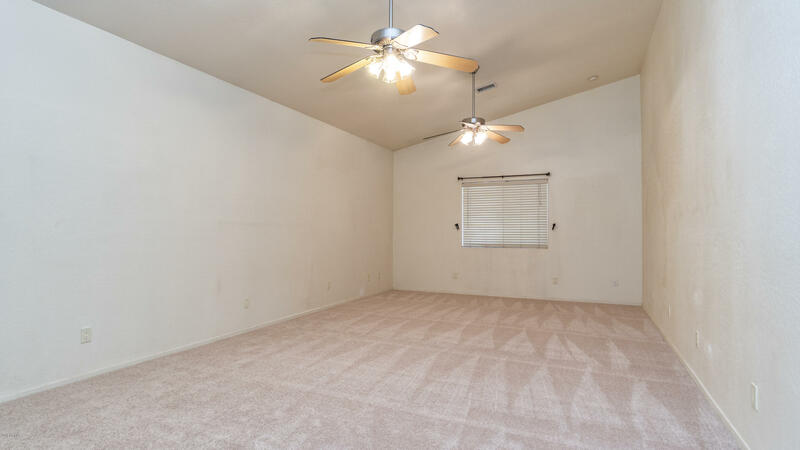 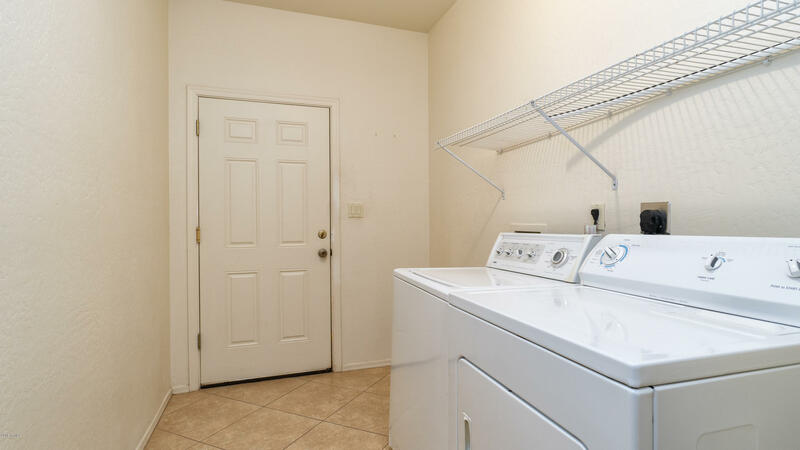 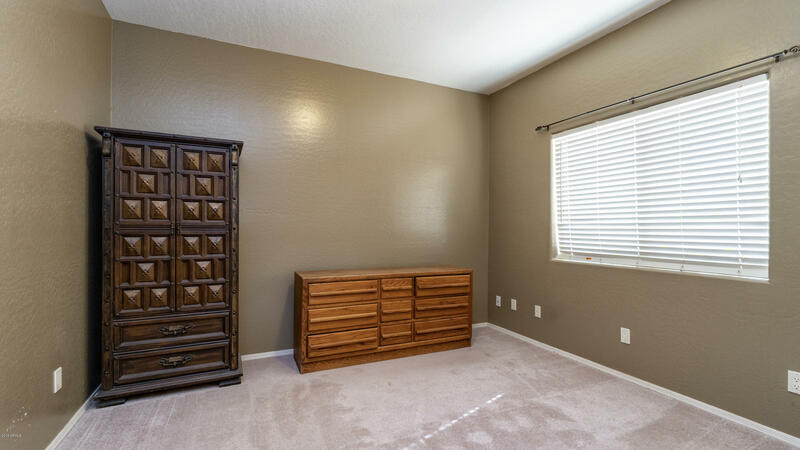 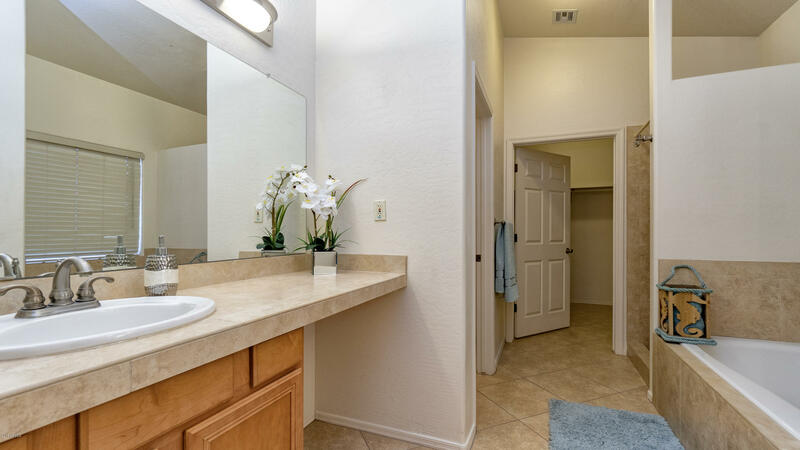 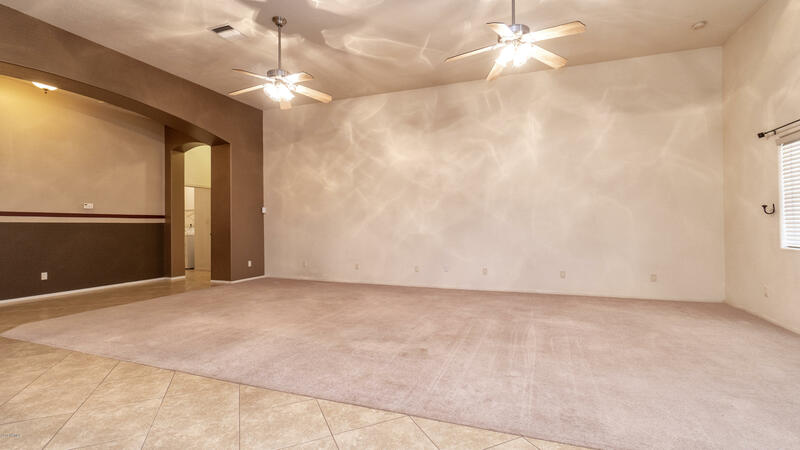 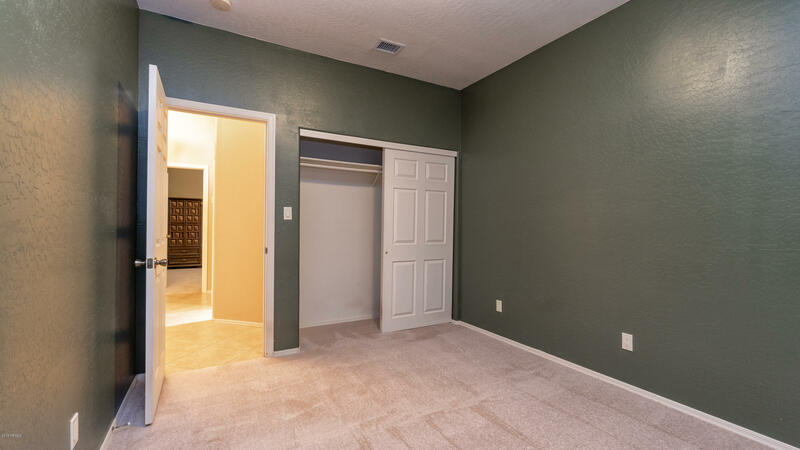 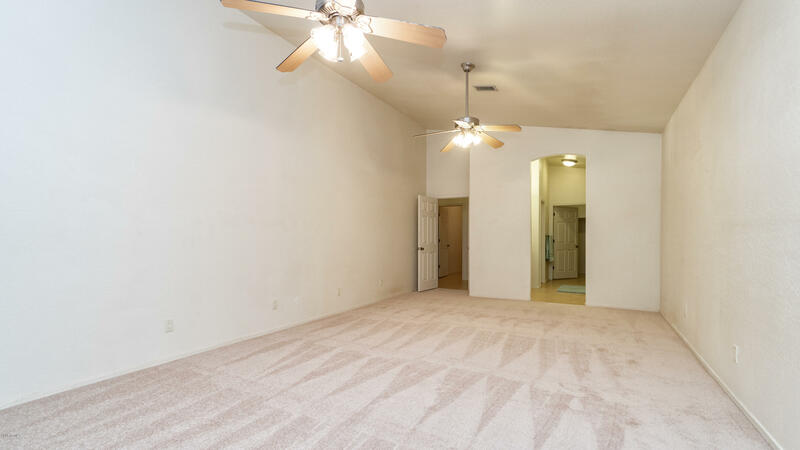 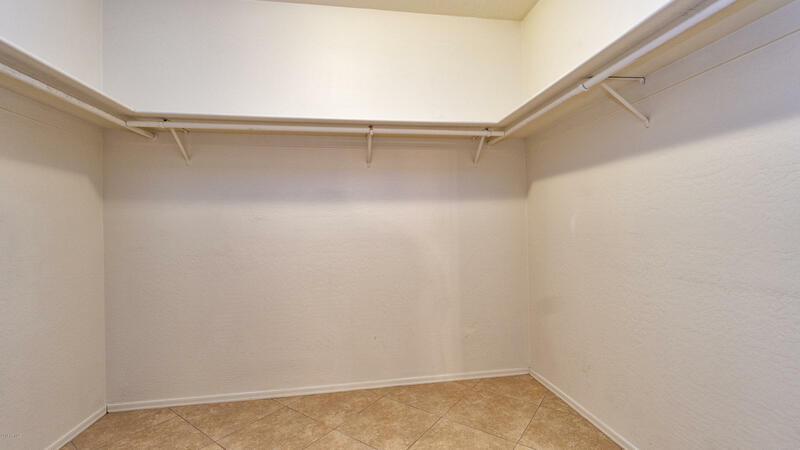 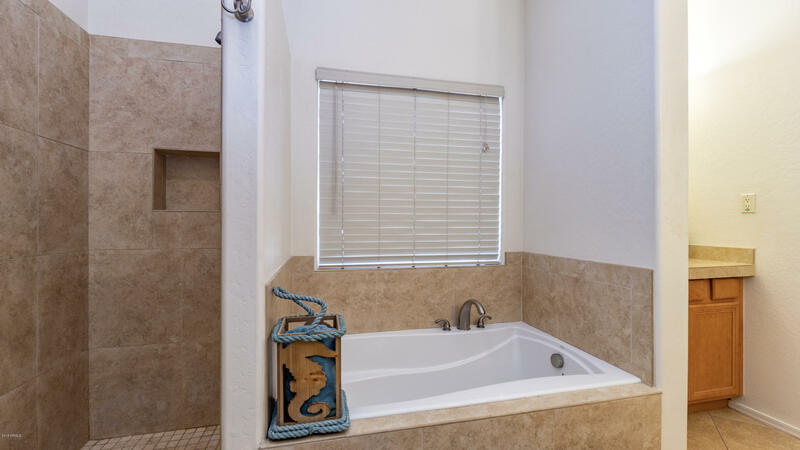 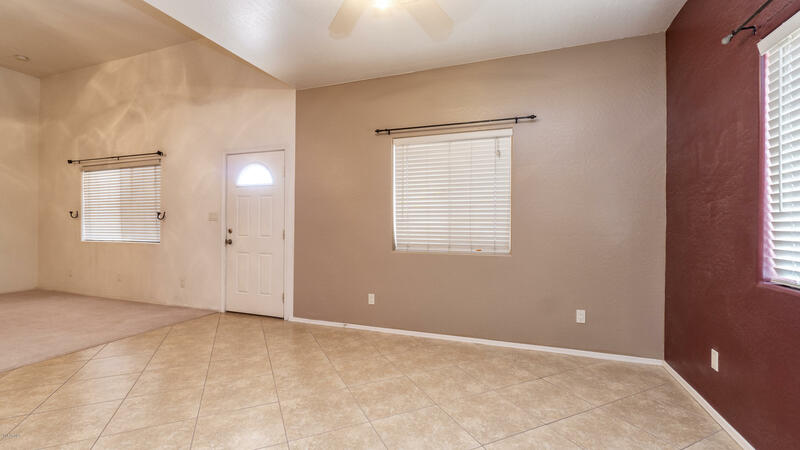 Master bedroom retreat is spacious and you will find a large walk-in closet, soaking tub, and tiled shower. 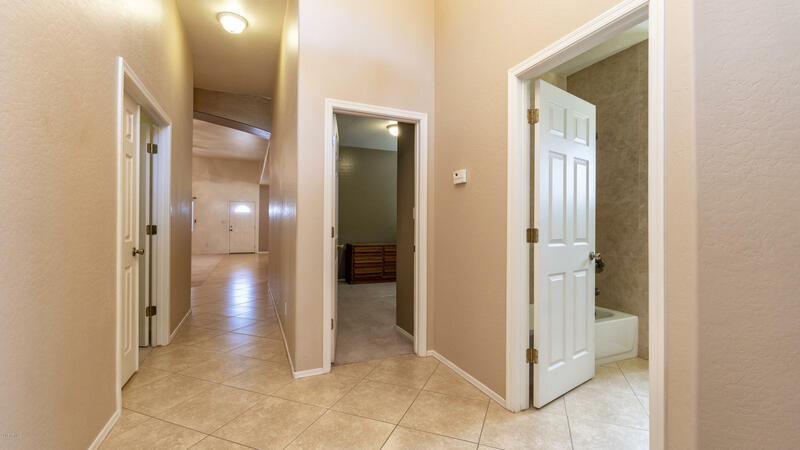 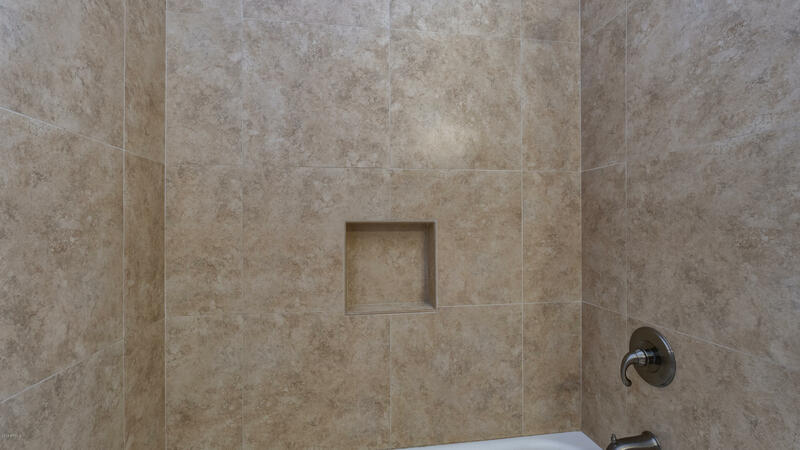 Custom paint and lots of diagonally laid tile a plus! 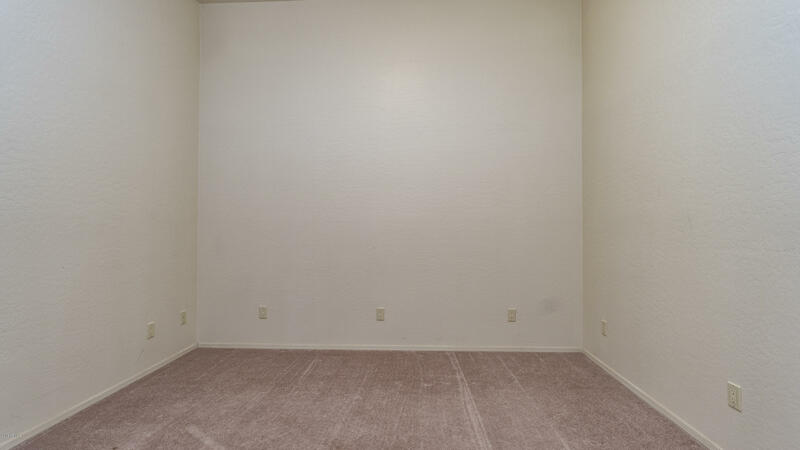 Secondary bedrooms are nice sized. 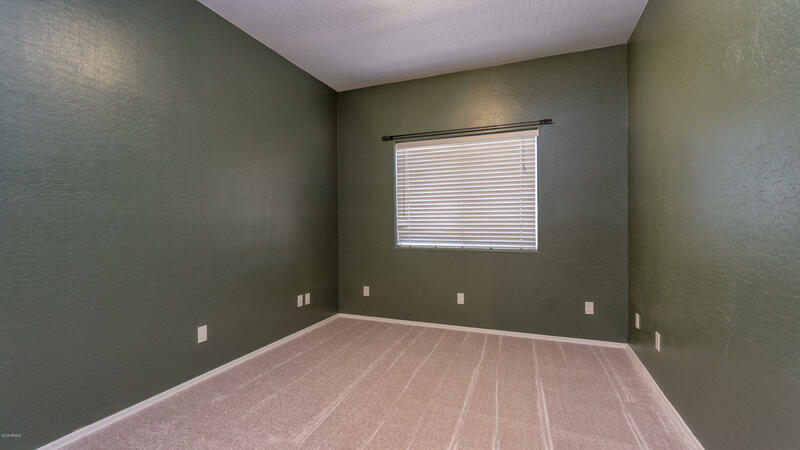 Den can be used as an office, game room or bedroom it makes a great flex room. 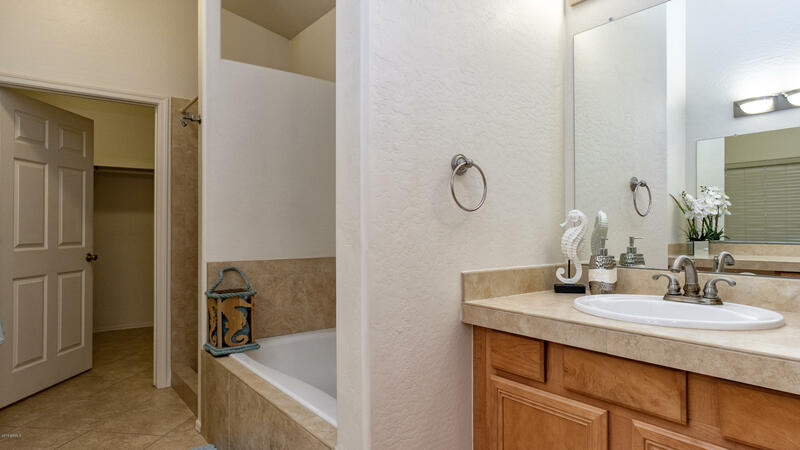 Spacious secondary bathroom for kids or guests.